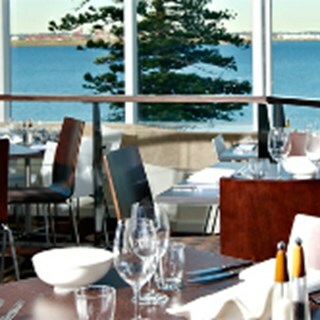 Overlooking the picturesque Brighton Beach, Baygarden Restaurant is located on level 3 of Novotel Sydney Brighton Beach. It offers the freshest selection of locally sourced Australian produce, seafood and a variety of meats cooked to perfection. The live kitchen station offers chef's specialities cooked a la minute, whilst the fresh and delectable seafood buffet offers an array of dishes to choose from. Seafood buffet dinner - Friday, Saturday & Sunday. Seafood buffet lunch - Sunday only. The staff were very welcoming and took time to organise a window table. The Seafood Buffett was disappointing. Yes there was lobster, prawns and oysters but not a lot of other choices. Hot choices bays were almost empty and dessert for mostly chocolate. For $99 a person it would have been over priced. The Accor discount made to acceptable. SORRY, YOU DO NOT READ MY FEEDBACK. PLS, DO NOT WASTE MY TIME. Excellent service , anda great meal at the Baygarden. Been coming here for a couple of years. Have seen massive improvements over the last year! I’ve had breakfast there before and loved it and that’s why I returned. On this occasion I wasn’t so pleased, I thought the table service for coffee etc was very poor. I had to ask for bowls to get cereal etc. Not a great variety on offer. Thank you Ms Alison. She treated us like her own family. She tried her best to spread happiness and friendliness among the restaurant guests. She cleverly with her kindness succeeded. Mr Ehab, chef, thank you for your tremendous efforts to add to our appetite. We observed your hard work yum yum dishes products. Thank you Amy, waitress, she kept the cold drink pouring, collected the soiled plates and cutlery so we always have rooms for further serve and replaced the receptive-bowl. She is a typical Auzy hard worker. Accordingly we decided to return. Food was average. I expect salads to be made in house, not pre packaged salads. Dessert was ok, good variety but overall poor value for money. We were disappointed in the buffet. Breakfast. The variety was good but  the quality was substandard for such a place. The eggs made to order were great cooked to how we wanted. Breakfast bacon was like cardboard and/or undercooked. Sausages undercooked. Had to go find a person to get a coffee and then had to go and find them again to see when it was coming. Shame about the lack of service and quality of some of the food because venue is nice. The Seafood  buffet is exceptional.The let down is the wine selection . The quality of wine available if buying by the glass is poor . As we were early for dinner we bought wine by the glass at  the bar outside the restaurant.While dining  in restaurant bought wine by the glass. Again finding poor quality. It is either cheap wine at the beginning, or bottles have been opened, seal broken and left to sit.Bad wine spoils a good meal. We purchased Groupon vouchers for these. It was very good value, only comment is that the hot food could have been a lot hotter. Have been a number of times. It’s always great. Being our first visit to Baygarden Restaurant we didn't know what to expect. Everything was excellent and we will definitely return. The food was abundant and fresh with excellent choices for fussy eaters. The cappuccino was almost COLD. I could barely drink it. Must admit restaurant cooked food was great. We ordered the Share Option octopus dish. It left us wanting more. Accor Plus members receive a large discount which was fantastic for us. The lady serving us was excellant. Thank you so much for making my elderly fathers birthday great. Everything was very nice and the service was excellent.